Since July 1, 2018, recreational marijuana has been legal in Vermont, but what do we know about the positive and negative effects of cannabis in the body and the brain? 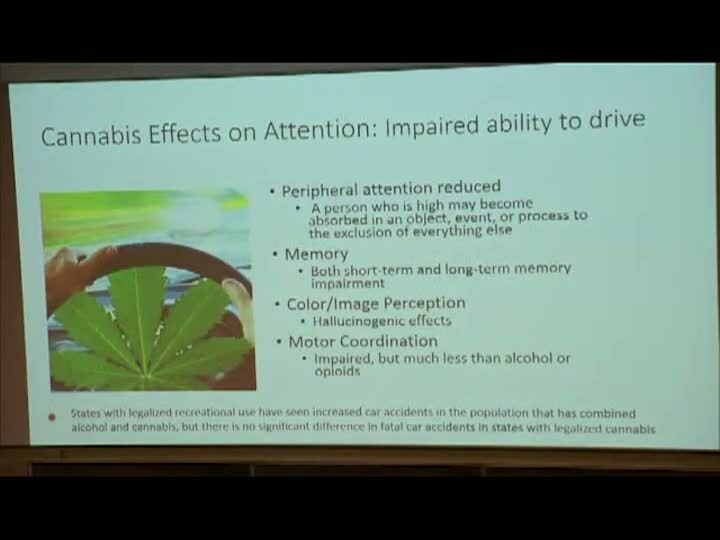 Peter Jackson, M.D., Assistant Professor of Psychiatry, and Karen Lounsbury, Ph.D., Professor of Pharmacology, provide an understanding of the biologically active chemical components of the cannabis plant - CBD and THC - and how they are processed in the body, as well as the impact of cannabis on the developing brains in youth versus adults. The discussion also includes the medical value of cannabis chemicals and risk of addiction.